There are simply too many possible applications of saffron as a medicinal plant. Rather than asking its possibilities, the question would be when or when not to use the plant. Saffron is known to aid and strengthen all of the parts of the body; stomach, reproductive organs, lungs, nervous system and also the immune system. If one has an upset stomach, it is best to place a little bit of saffron into a glass of warm water or milk. For cramps, saffron is best used when incorporated with oils and massaged unto the cramped area. One possible application of saffron is the premenstrual syndrome. Since elements in saffron like Crocin and Safranal have antidepressant properties, it is rendered capable of aiding premenstrual syndrome, depression, malaise and obesity. This is often referred to as a homeopathic remedy. According to research reports of Abe Saffron's Somersault, this plant may also be used in therapy for certain central nervous system-related diseases. This is because of the success rate of experiments made in relation to the study. 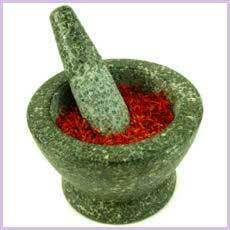 Apart from medicine and cooking, Saffron is also used in cosmetics. Certain commercial skin whitening products contain saffron and it is trusted to prevent hyper pigmentation.